These bags were super easy to make. 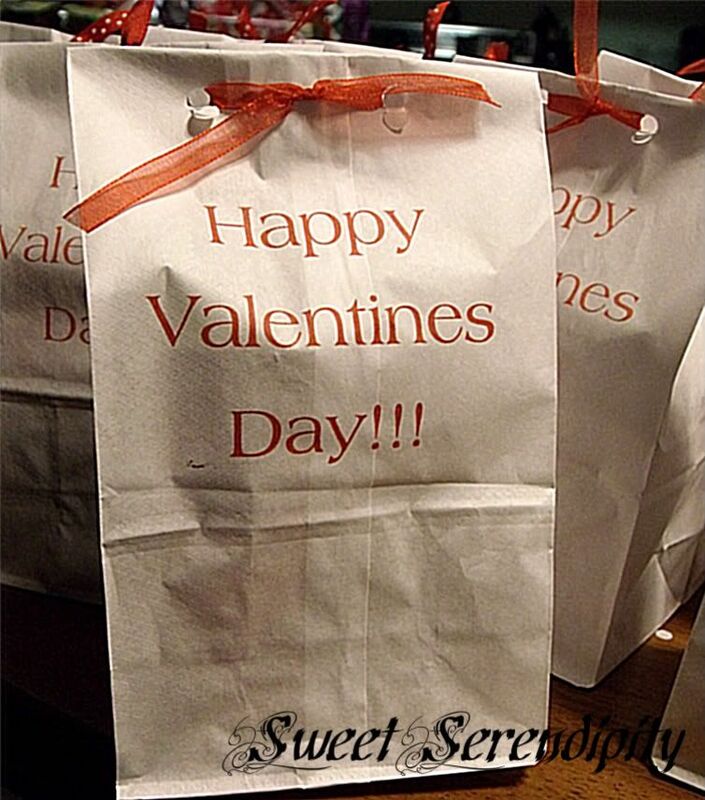 I measured the bags and then created a word document that size, typed in Happy Valentines Day with the font I liked and color and just printed the words right on to the bags using my printer. Once you have the bags printed, fill them with treats, fold the top of the bag over, using a hole punch punch 2 holes about an inch apart, and last thread coordinating ribbon through the holes and tie in a knot or bow.